If you’ve ever endured a webcast, you know how intense it is when starring at the screen while listening to the voiceover on your speakerphone. And after all, it’s how much of what you’ve seen is retained in your mind that matters. With ActivePresenter, everyone can come and go with the highest retentive experience. ActivePresenter lets you create professional screencasts that contain stunning annotations and effects, high-resolution graphics, videos, and voiceovers. You can capture any application on your computer, customize it easily by adding background music, closed caption, zoom-n-pan, etc., and finally export it to popular outputs (video, document) that can run on any device or platform. All things considered, you’ll be able to convey your ideas and concepts in a totally fun, engaging, and effective way (Standard and Professional Edition). Added to that, with interactive eLearning contents and interactive software simulations created by ActivePresenter, HTML5 output with SCORM and Tin Can API compliance Learning Management System, your audience can actually communicate with those contents, comprehend them best, and then get the most out of what you want to convey. And as a trainer, you can track, evaluate, and report learner performance effortlessly and effectively (Professional Edition only). Create professional video demonstrations and software simulations. Record everything on the screen, including audio, video, mouse movements, and more. Insert voiceover, shapes, closed captions, zoom-n-pan, annotations, etc. Design educated and compelling interactive eLearning contents, interactive software simulations with rich events and triggers (Professional Edition only). Track learner performance painlessly through automated metrics reporting (Professional only). Convey ideas far more effectively than text-heavy, bullet-ridden presentations, and shared screen conferences. Produce contents for web, desktops, mobile, and LMS (SCORM and xAPI) (Professional Edition only). After you purchase ActivePresenter it may be used indefinitely. ActivePresenter is licensed per computer, and not per user. Javier Gil Absolutely superb software. Bought a license a couple of years ago, never regretted it! DimL. Totally second Javier! I also have bought a couple of licenses for my 2 machines and I would certainly do it again! 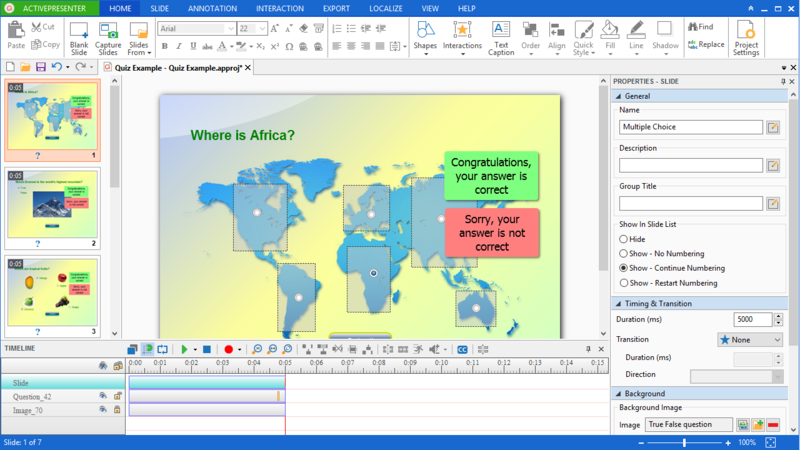 I have tried and experimented with several similar software but ActivePresenter is second to none. It makes the demo creation a matter of clicks and the result is professional and ready to be deployed at no time. 1. This special includes Active Presenter and Active Presenter Pro, or just the former product? 2. I to use it on two machines I own I need to deactivate one and activate the other installation. Is that an easy process, please explain? 3. The updates are for one year. After that what does it cost to extend the license: $74.50 or full retail? Hopefully you can respond before this Bits DuJour offer expires. Thanks. 1. When you click the GET THIS DEAL button, you will be presented with 2 editions: Standard and Professional to choose from. If you also need to create interactive contents in HTML5 then the Pro edition is your choice, but if you only need to create videos then Standard edition is a better choice. 2. Activating and deactivating is just a matter of a few mouse clicks. For example, to deactivate, start ActivePresenter and go to HELP tab > Deactivate Product and click Deactivate on the opened dialog. 3. Upgrades for major versions cost 50% of the then current full retail price, so it would cost $74.50 if the retail price would stay the same when you upgrade. Minor version updates are always free of charge. Al Johnston I currently use Active Presenter Pro ...and I'm thinking of buying a second license for my Desktop. I dont seem to use the features of pro and would probably be ok with standard features. Will I have any issues sharing a project between computers if I'm utilizing standard software on one and pro on the other? Joel Dubow Hi Atomi Support: Thanks for the quick and comprehensive reply. Roberto After testing the soft... a quick question. Im recording a software screen with auto FMR. 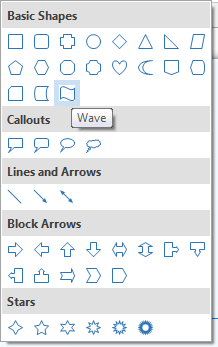 I want to drag and drop a tool, and I want the user emulates that movement later. Active Presenter Detects that like a clic, and not like a drag&drop. Is there some tip or shortcut to achieve that? There should be no problem sharing projects between Standard and Pro edition. You can create a project with Standard edition and later edit with Pro edition or vice versa. You can also share projects between the Windows & macOS version as well. 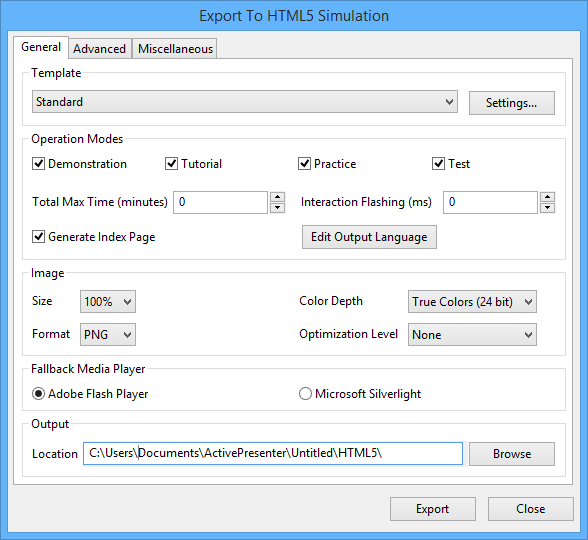 ActivePresenter cannot record drag&drop interaction for simulation. 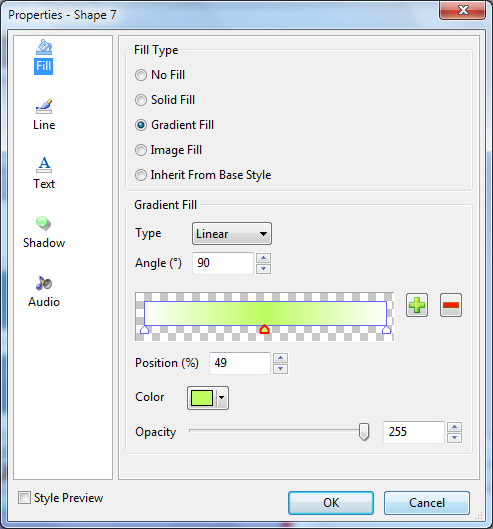 Instead, you will need to create drag&drop interaction later after recording. The point in using FMR is that when you drag&drop or scroll mousewheel then ActivePresenter will automatically switch to full motion recording so that such operations can be played back as is later. Charles Beauchamp Can the Pro Version import HTML based files AND folders / subfolders of linked HTML files to then create a HTML5 Presentation. If so what is the import size limitations of the HTML downloaded websites that can be imported? It can only embed using web object, it cannot import HTML based files. Previous versions of this software was offered here on Bitsdujour with Lifetime Upgrades (previous comments). If I understand correctly, this offer does not have Lifetime upgrades. Am I understanding correctly? As a note, I would purchase if it were offered with Lifetime Upgrades. ron r I purchased this during the promotion with the promise of lifetime major upgrades. (see first 2 posts above). I downloaded the latest version but it does not seem to activate. Could you please provide keys (preferably lifetime-major-upgrade) keys to to the users who purchased this special promotion version. Professional Tutorial, Demo, and Presentation Creation! Record Your iPhone and iPad Screen - No Jailbreaking! 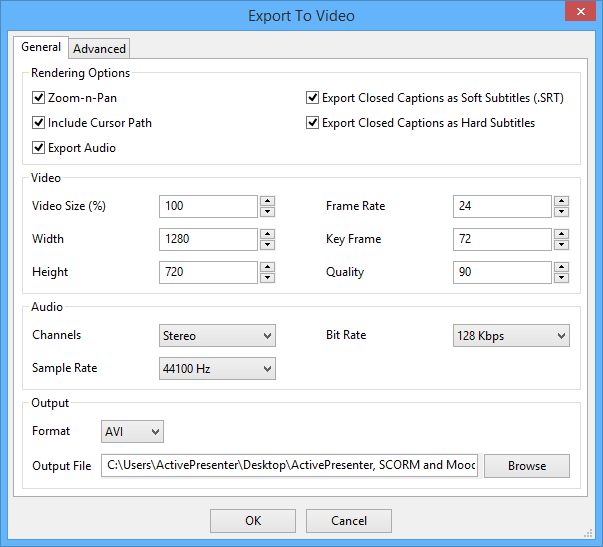 Simple and Powerful Screen Recording / Video Creating Software!